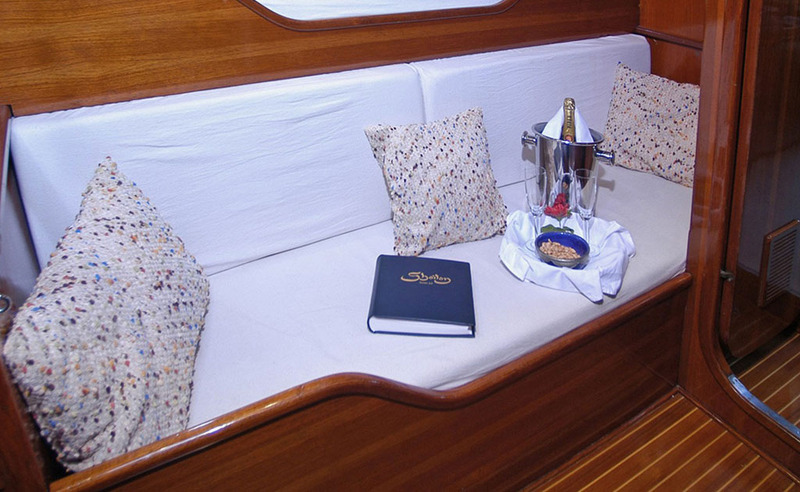 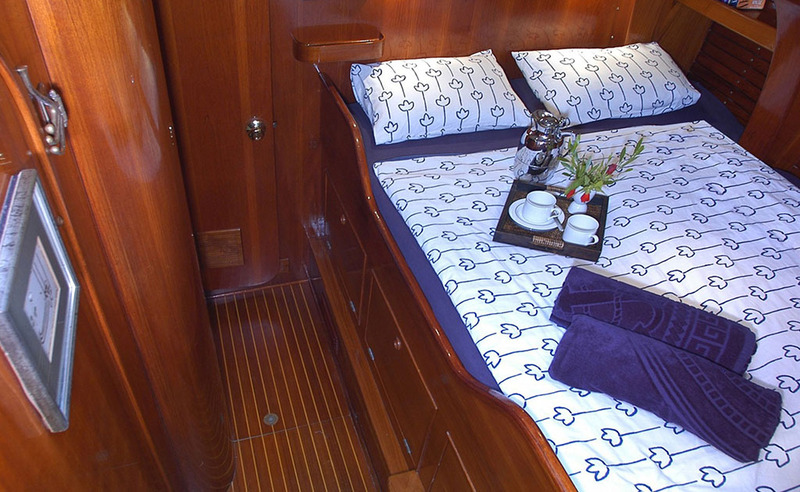 Allow us to take you away on Shaitan for an exceptional experience of both sportive sailing and pure luxury. 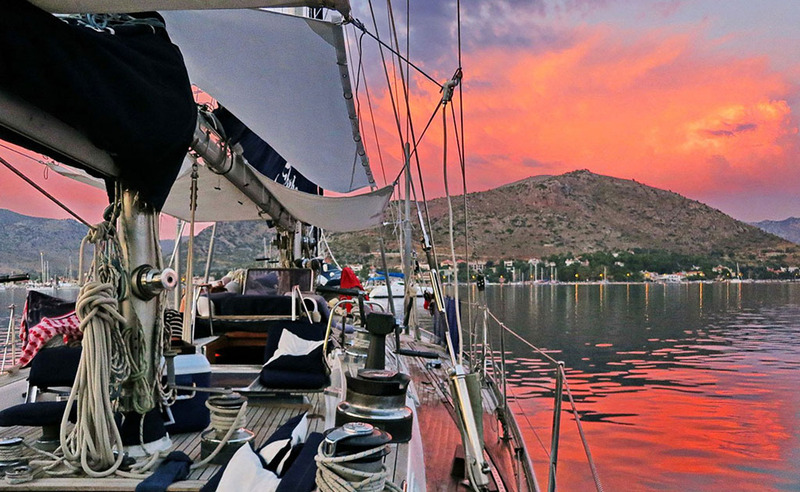 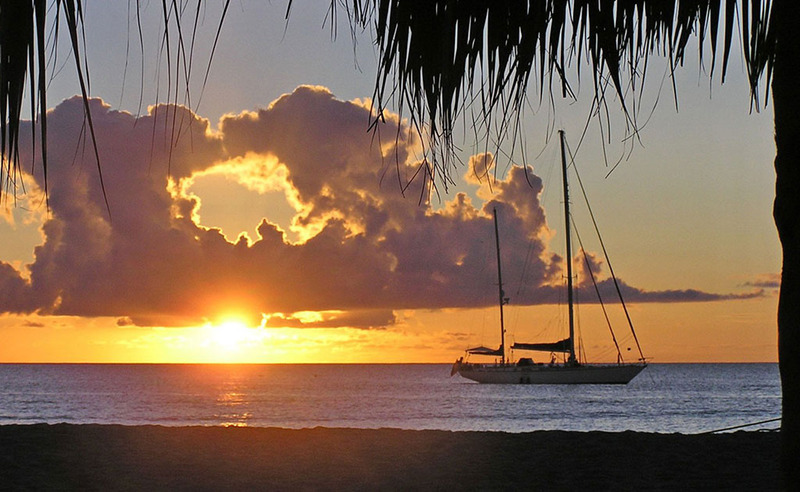 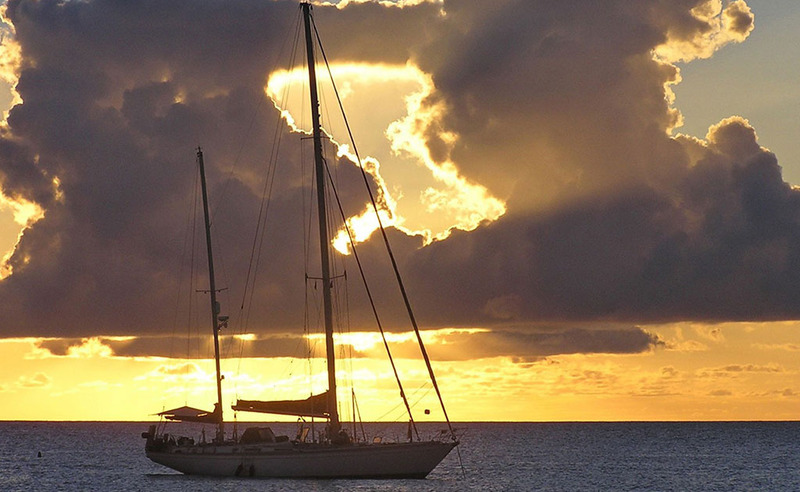 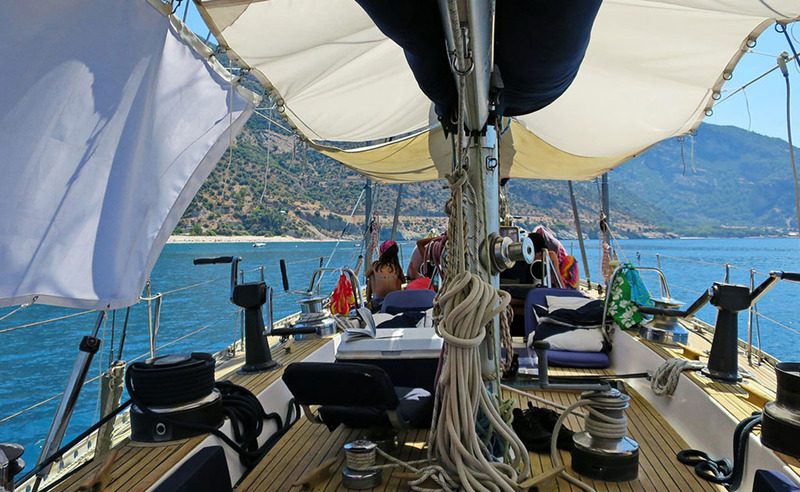 Magnificent coves, fascinating excursions on land, tropical sundowners and gourmet dinners on board create an unforgettable vacation experience. 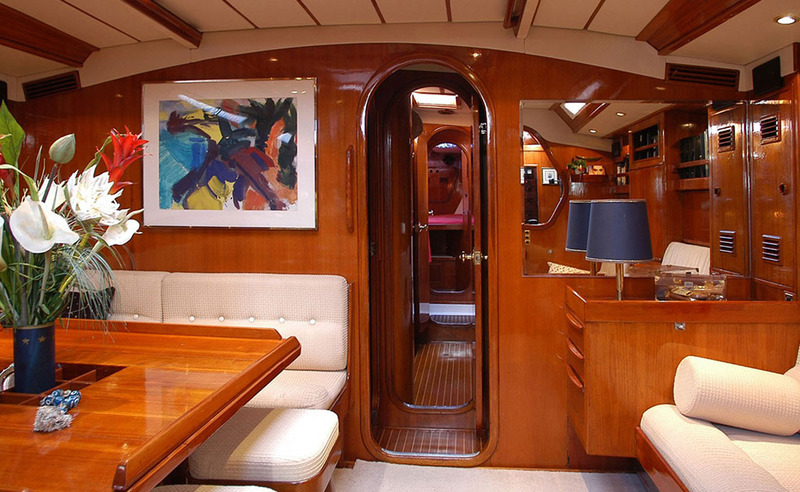 A luxurious atmosphere combining classical elegance and modern sportiveness: this is what Shaitan, a Swan 65 from the drawing board of Olin Stephens, is all about. 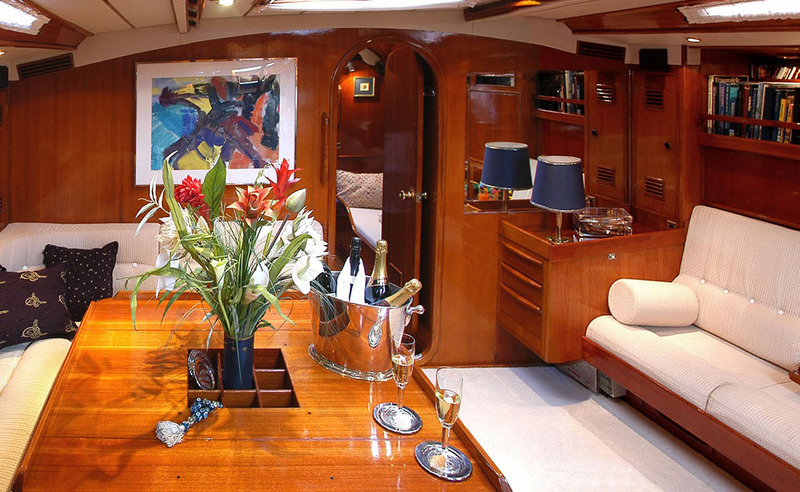 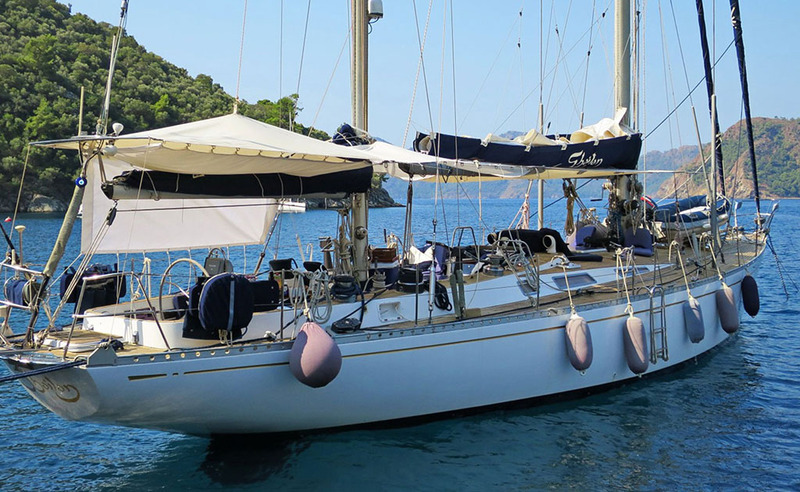 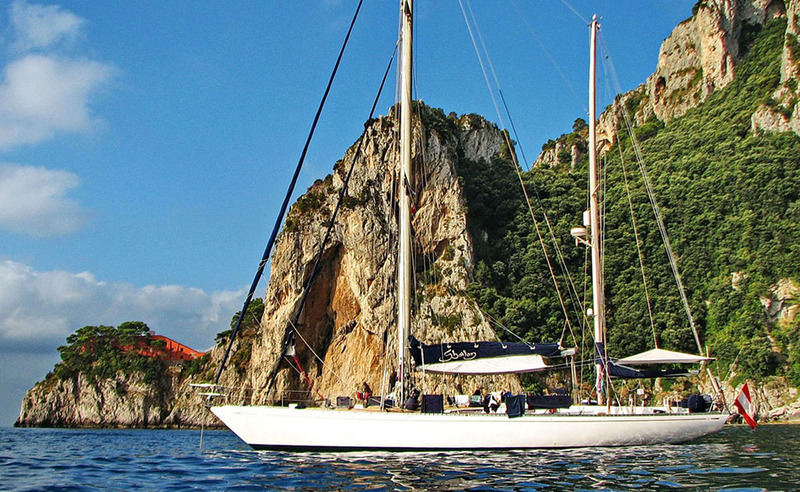 The Swan 65 is one of the best known, safest and most elegant sailboats ever built. 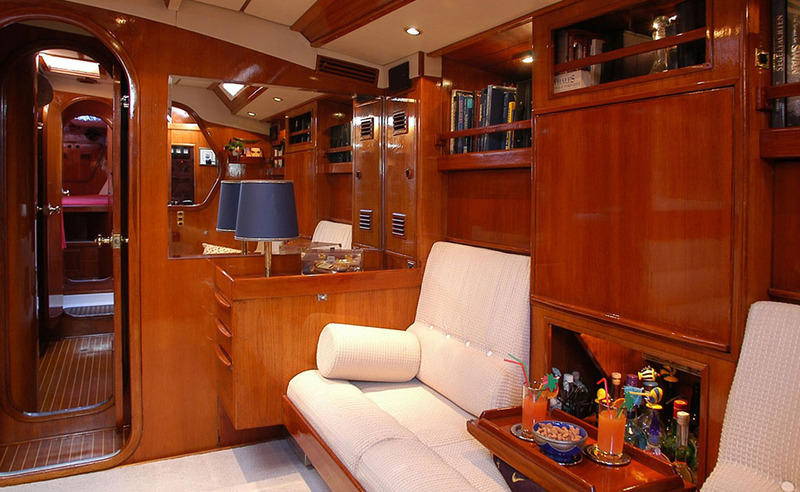 Even if you plan to spend your vacation with some easy sailing, it is still comforting to know that you are aboard a yacht suited for all conditions. 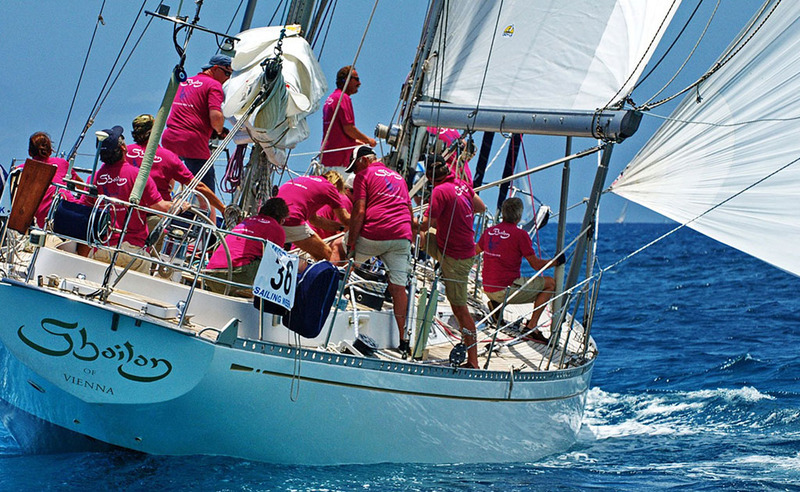 For those who want to get actively involved, this is a chance to gain some hands-on sailing experience. 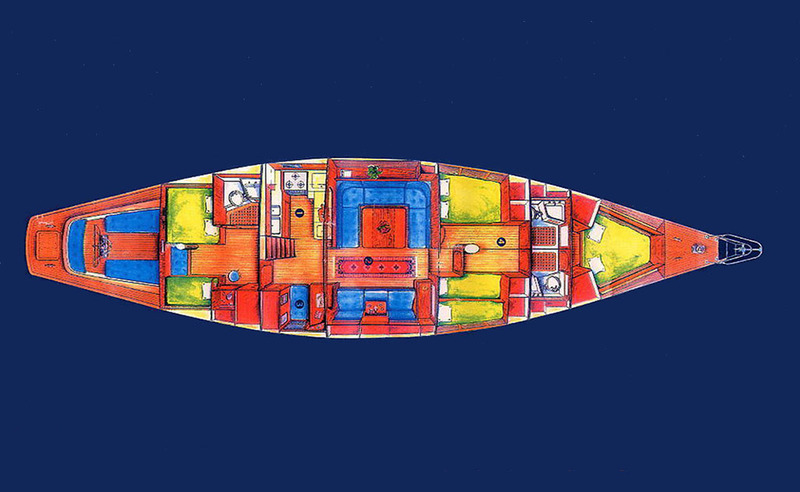 Yet, also without your help, the experienced crew will navigate Shaitan safely across the ocean. 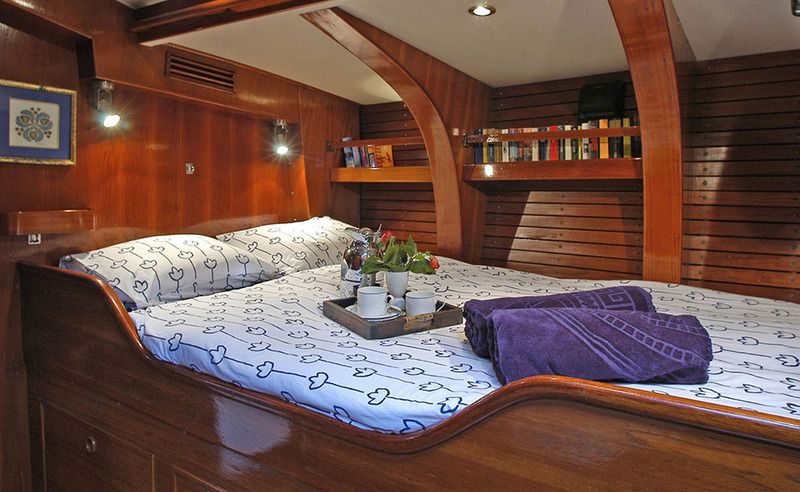 Evidently, a yacht of this size offers any type of comfort you can dream of. 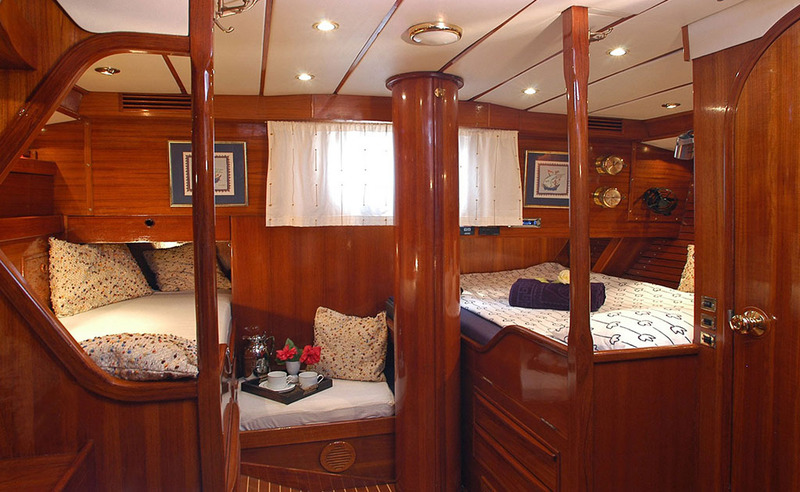 However, other than in a five-star hotel you may choose, according to what you feel like at the moment, whether you would prefer to spend the night in a tranquil bay or a romantic harbour. 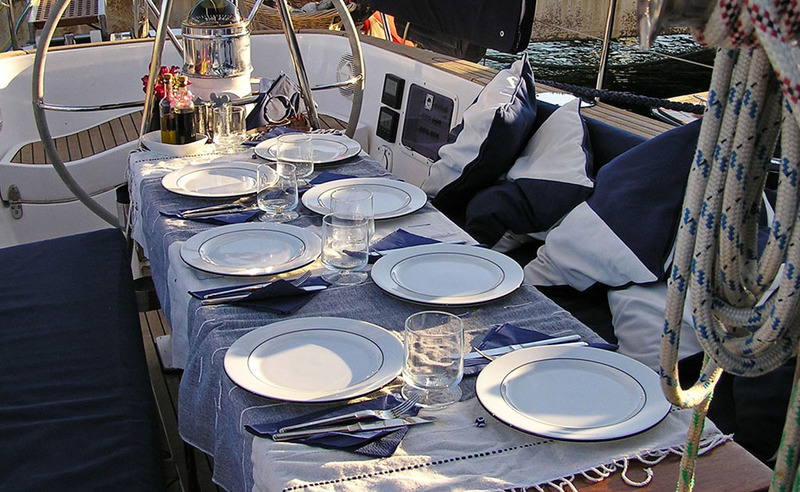 Sailing creates appetite. 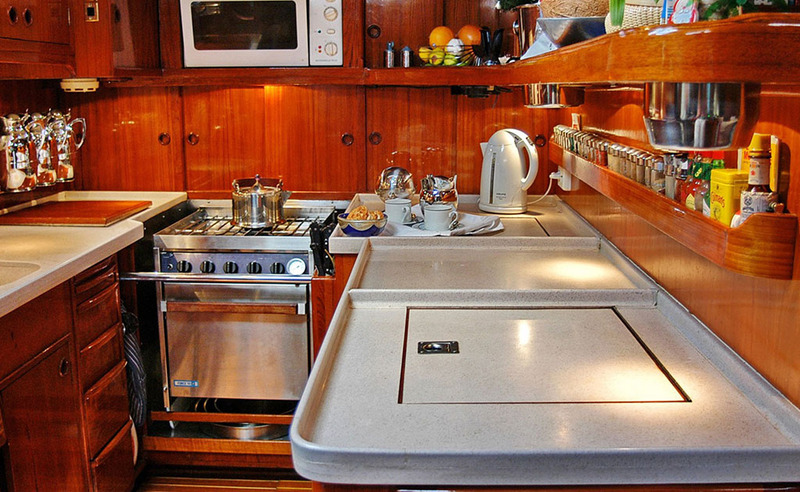 When the captain decides to trade his cap for a chef’s hat, you will be in for exquisite culinary delights. 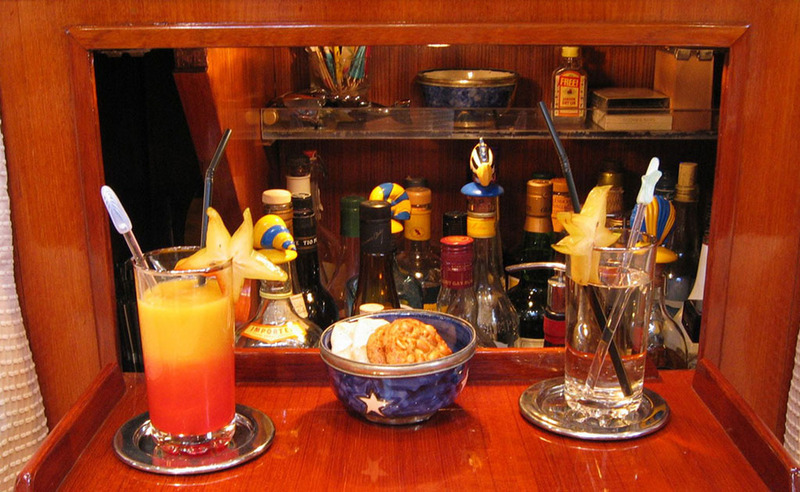 Shaitan is also considered an insider tip for gourmets. 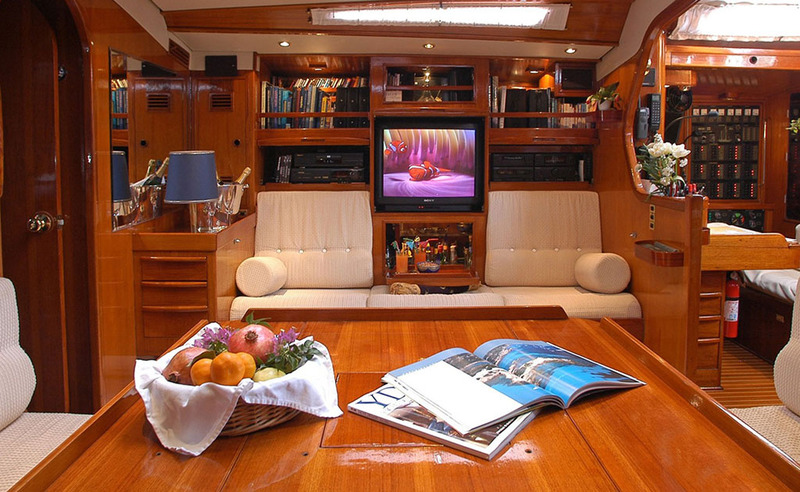 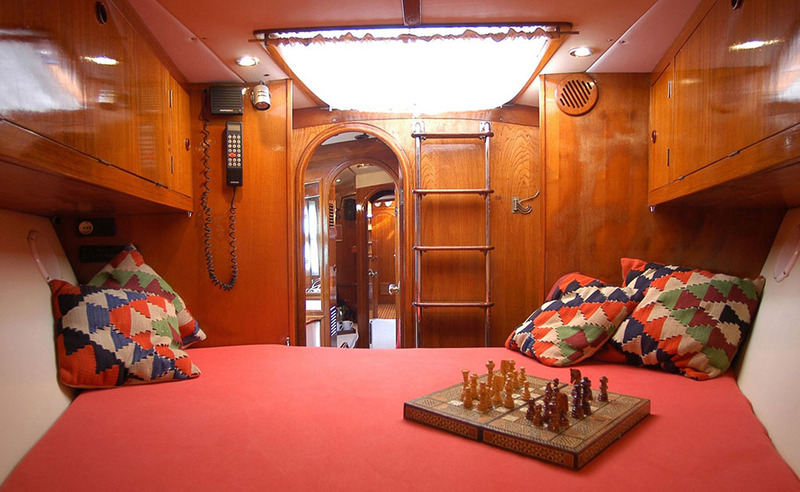 Elaborate audio equipment below decks with several speakers on deck.